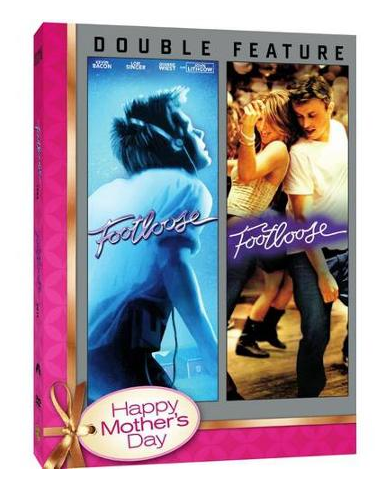 Footloose (1984) / Footloose (2011) (Walmart Exclusive) Just $5.00! Down From $13.13! You are here: Home / Great Deals / Footloose (1984) / Footloose (2011) (Walmart Exclusive) Just $5.00! Down From $13.13! Right now you can get this Footloose (1984) / Footloose (2011) (Walmart Exclusive) for just $5.00 (Reg. $13.13) at Walmart! “Footloose,” the 1984 original and the amazing 2011 retelling together in one package! Meet big city teen Ren, who moves to a sleepy Midwest town with some very different ways thanks to a hard-line minister’s outlaw of loud music and dancing. But Ren changes everything when he challenges the ban and revitalizes a community. “Let’s Dance!” Kevin Bacon On “Footloose”; “From Bomont To The Big Apple”: An Interview With Sarah Jessica Parker; “Remembering Willard”; Kevin Bacon’s Screen Montage; Commentary; Commentary By Director Craig Brewer; Deleted Scenes; “Fake ID” Music Video By Big And Rich. Languages: English, French and Spanish; Subtitles: English (Closed Captioned), French and Spanish.